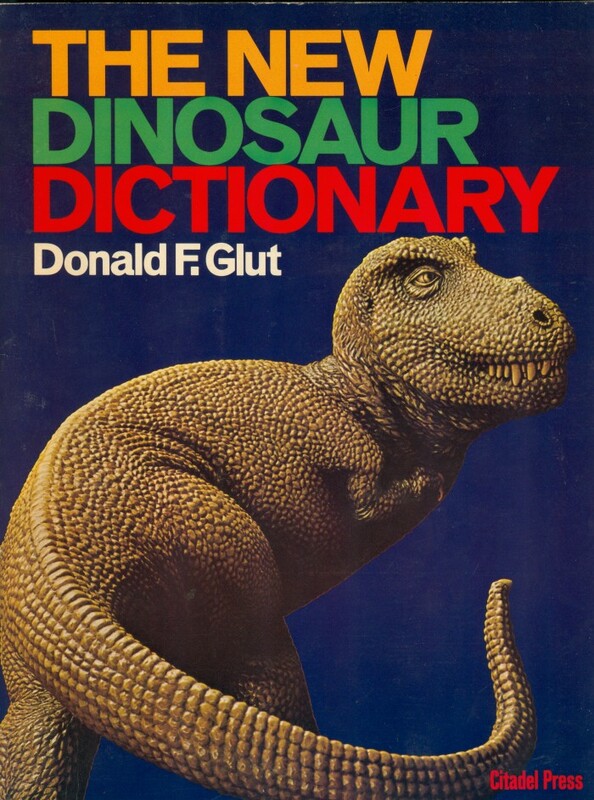 When I was nine, a copy of Don Glut’s The New Dinosaur Dictionary turned up in my local Waldenbooks. 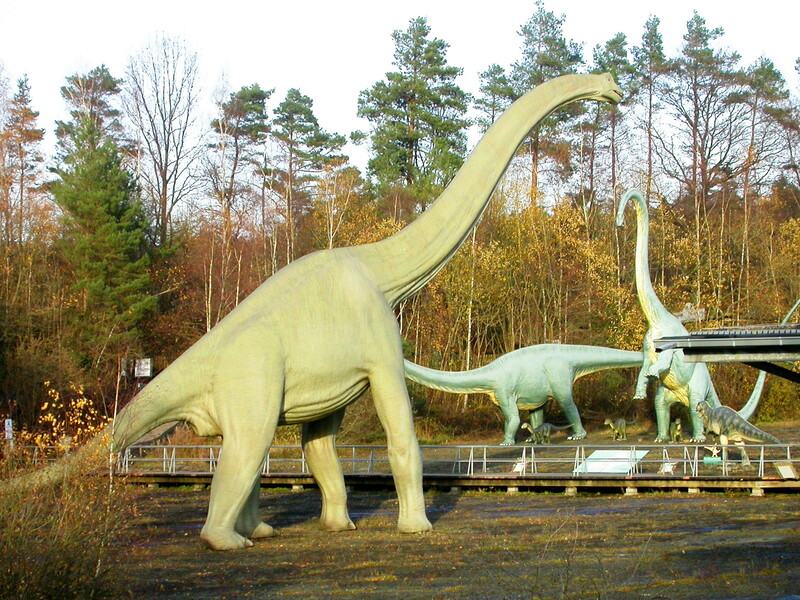 It wasn’t my first dinosaur book, by far – I’d been a dinosaurophile since the age of three. But The New Dinosaur Dictionary was different. Up to that point, I had subsisted on a heavy diet of kids’ dino books and the occasional article in National Geographic and Ranger Rick. The kids’ books were aimed at kids and the magazine articles were pitched at an engagingly popular level. I didn’t understand every word, but they were clearly written for curious layfolk, not specialists. 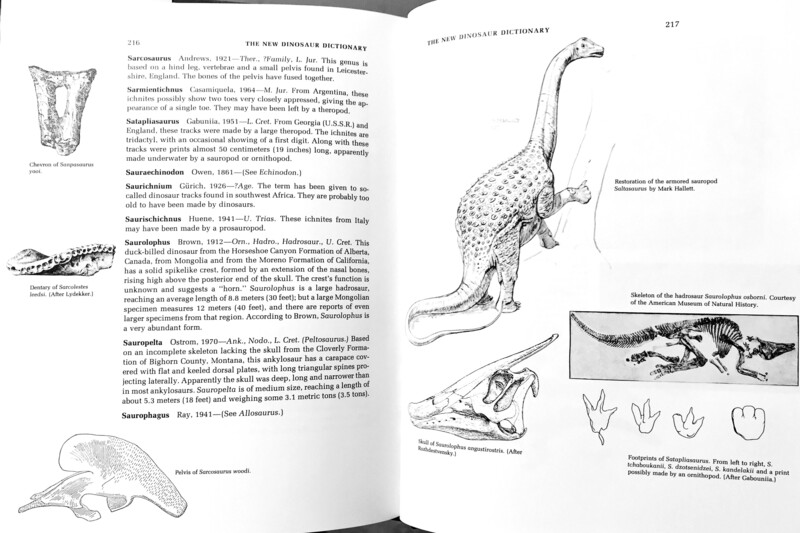 A typical spread from The New Dinosaur Dictionary (Glut, 1982). 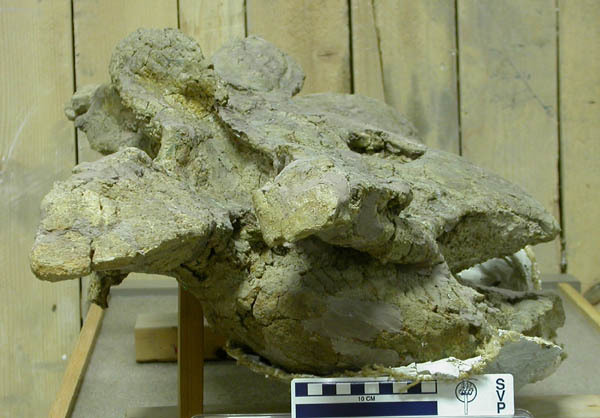 The armored sauropod blew my young mind. The New Dinosaur Dictionary was something else entirely. 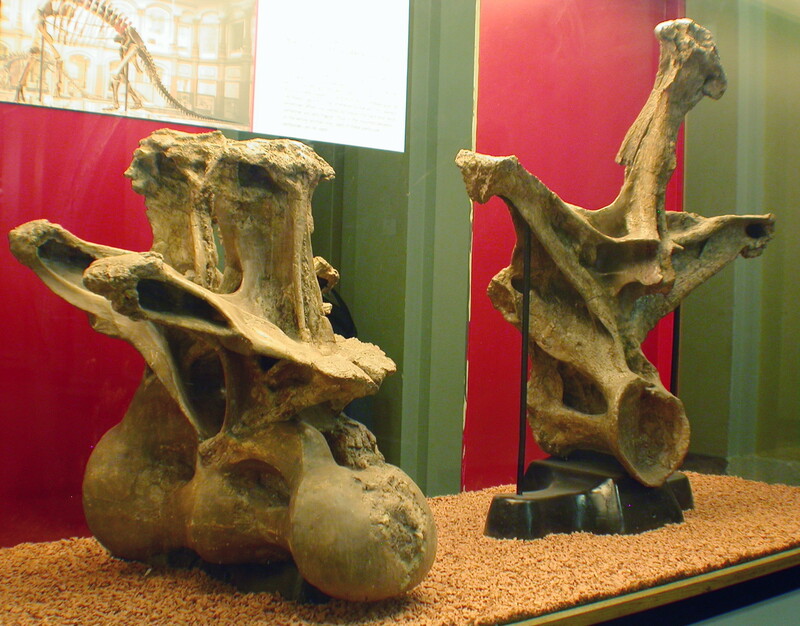 It had photos of actual dinosaur bones and illustrations of skeletons with cryptic captions like, “Skeleton of Daspletosaurus torosus. (After Russell)”. 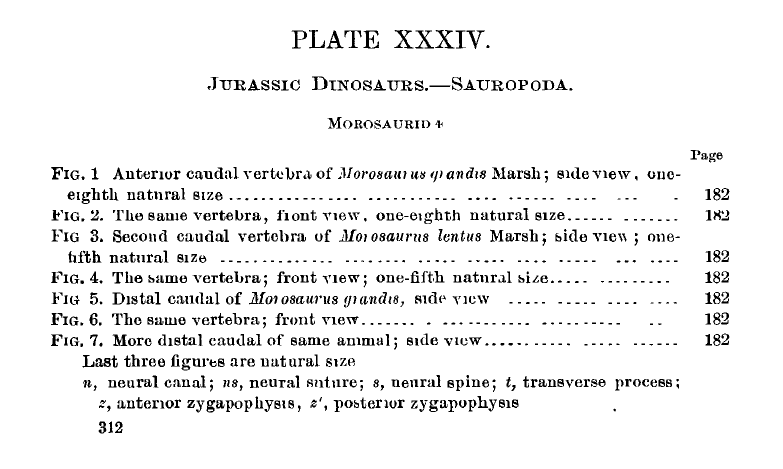 Okay, clearly this Russell cove was out there drawing dinosaur skeletons and this book had reproduced some of them. But nobody I knew talked like that, and the books I had access to up to that point held no comparable language. 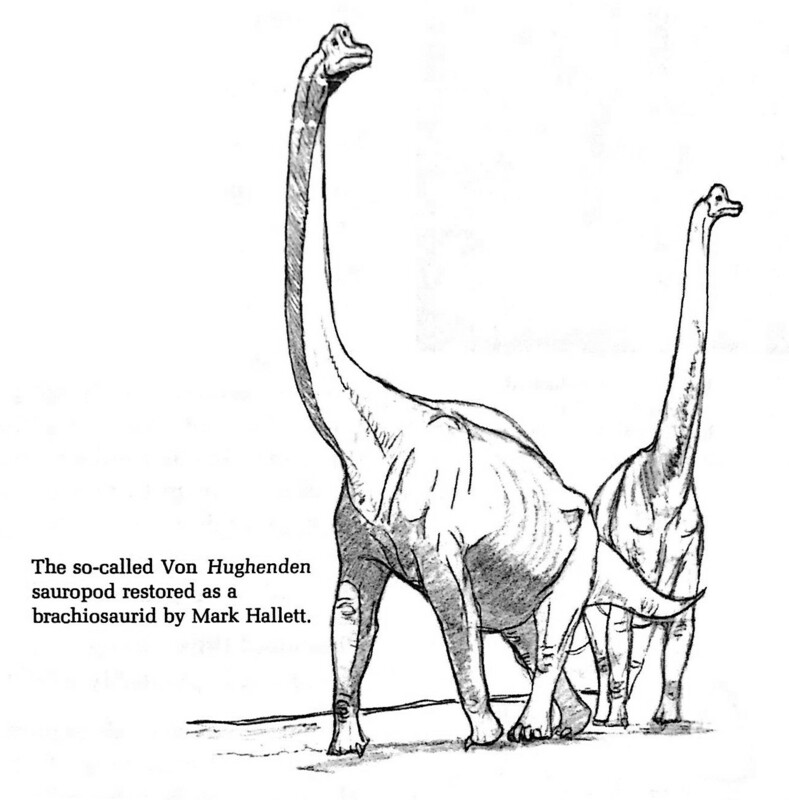 Then there was stuff like this: “The so-called Von Hughenden sauropod restored as a brachiosaurid by Mark Hallett”. A chain of fascinating and pleasurable ideas detonated in my brain. “The so-called” – say what now? Nobody even knew what to call this thing? 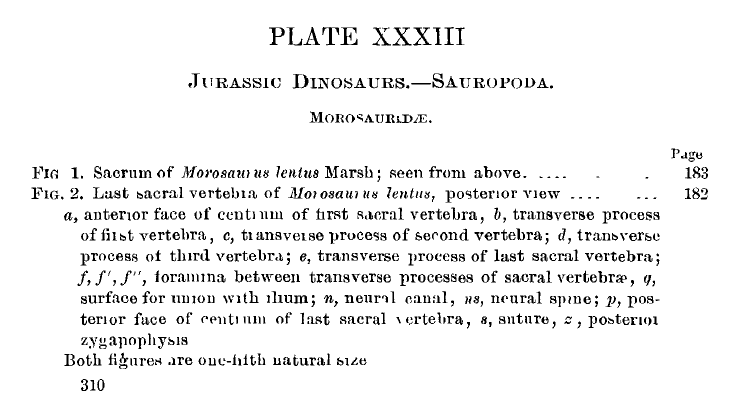 Somehow I had inadvertently sailed right to the edge of human knowledge of dinosaurs, and was peering out into taxa incognita. 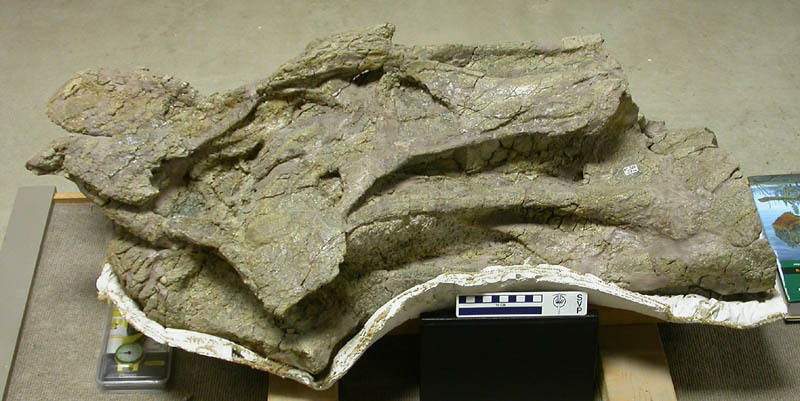 “Restored as a brachiosaurid” – so this was just one of several possible ways that the animal might have looked. Even the scientists weren’t sure. This was a far cry from the bland assurances and blithely patronizing tones of all my previous dinosaur books. 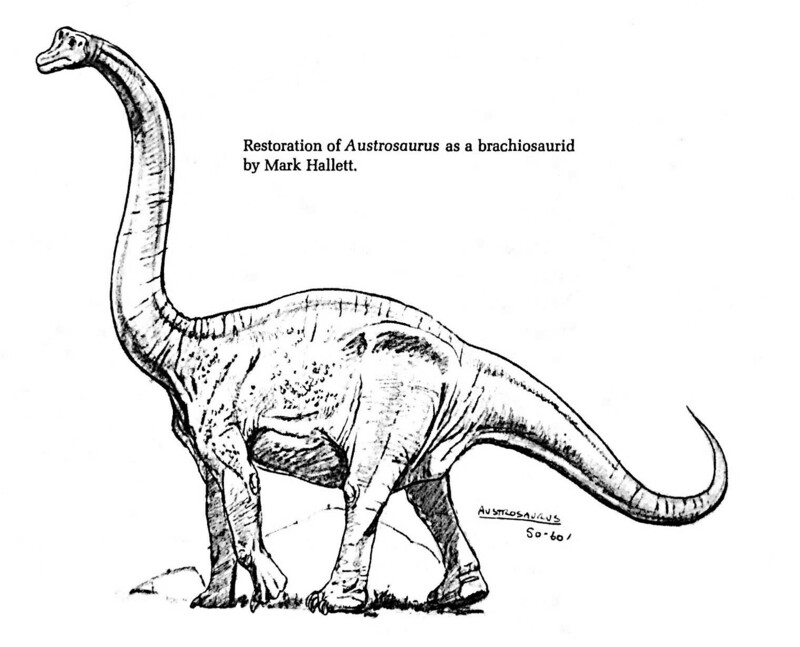 “By Mark Hallett.” I didn’t know who this Hallett guy was, but his art was all over the book, along with William Stout and some guy named Robert T. Bakker and a host of others who were exploding my conception of what paleo art could even be. Anyway, this Mark Hallett was someone to watch, not only because he got mentioned by name a lot, but because his art had a crisp quality that teetered on some hypercanny ridge between photorealism and scribbling. His sketches looked like they might just walk off the page. In case that line about scribbling sounds dismissive: I have always preferred sketches by my favorite artists to their finished products. The polished works are frequently inhumanly good. They seem to have descended in a state of completed perfection from some divine realm, unattainable by mere mortals. Whereas sketches give us a look under the hood, and show how a good artist can conjure light, shadow, form, weight, and texture from a few pencil strokes. Put it this way: I am anatomist by temperament first, and by training and occupation second. Of course I want to see how things are put together. 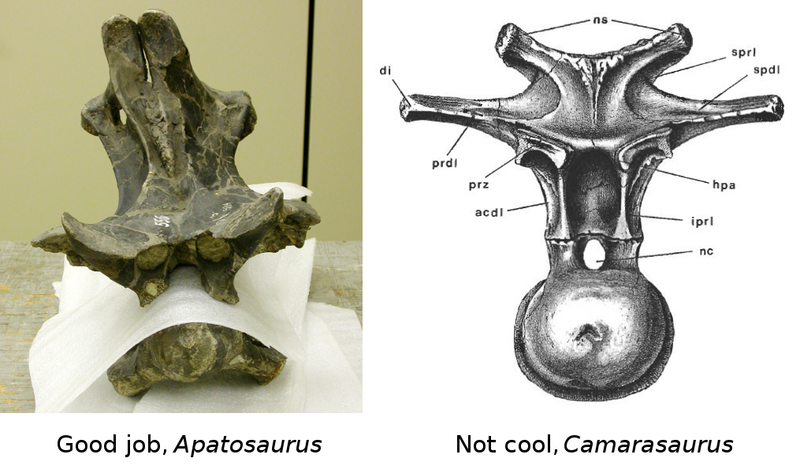 Anyway, The New Dinosaur Dictionary was something completely new in my experience. It wasn’t aimed at kids and written as if by kids, like lots of kids’ books. It wasn’t even written by adults talking down (deliberately or inadvertently) to kids, or trying to reach a wide audience that might include kids. It was written by an adult, aiming at other adults. 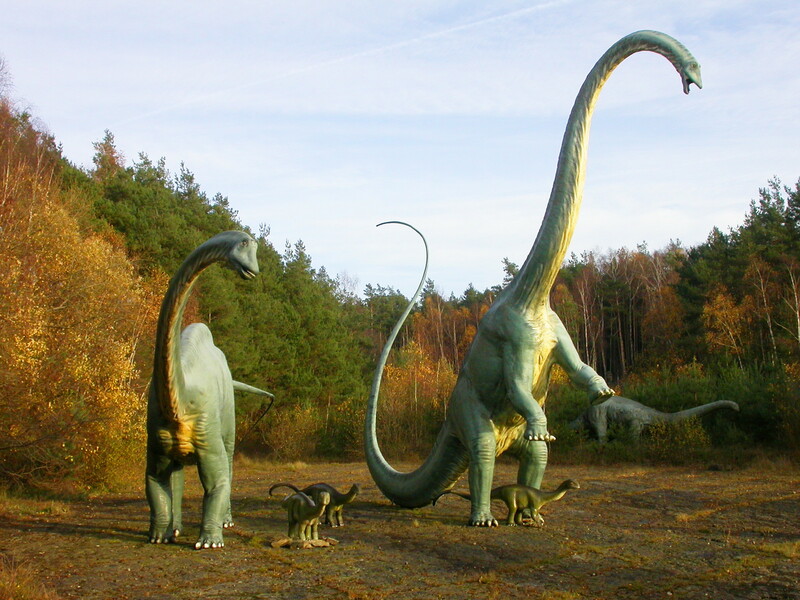 And it was admitting in plain language that we didn’t know everything yet, that there were lots of animals trembling on the outer threshold of scientific knowledge. I didn’t understand half of it – I was down in an ontogenetic trench, looking up as these packets of information exploded like fireworks over my head. I felt like an ancient lungfish contemplating the land from the sea. We could get up there. 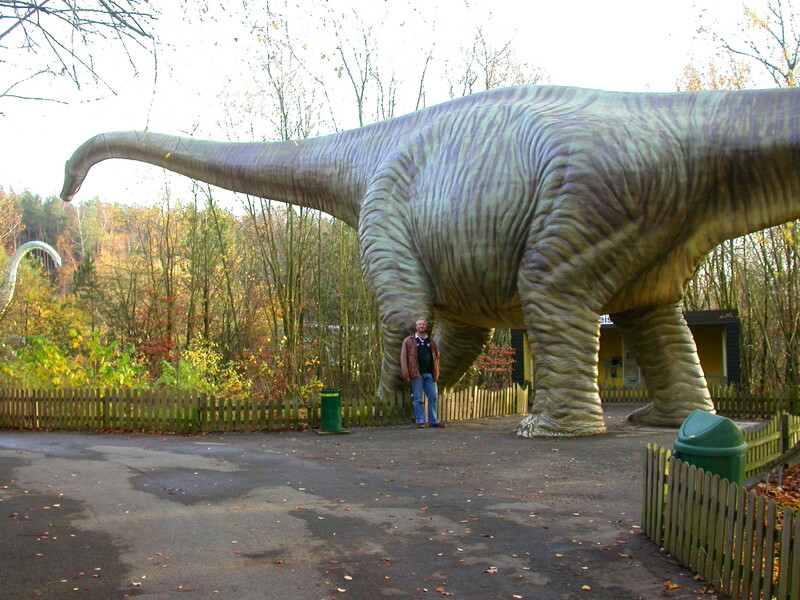 That’s precisely the effect that The New Dinosaur Dictionary had on me: I could get up there. Maybe not immediately. But there were steps, bodies of knowledge that could be mastered piecemeal, and most of all, mysteries to be resolved. The book itself was like a sketch, showing how from isolated and broken bones and incomplete skeletons, scientists and artists reconstructed the world of the past, one hypothesis at a time. Now I take it for granted, because I’ve been behind the curtain for a couple of decades. 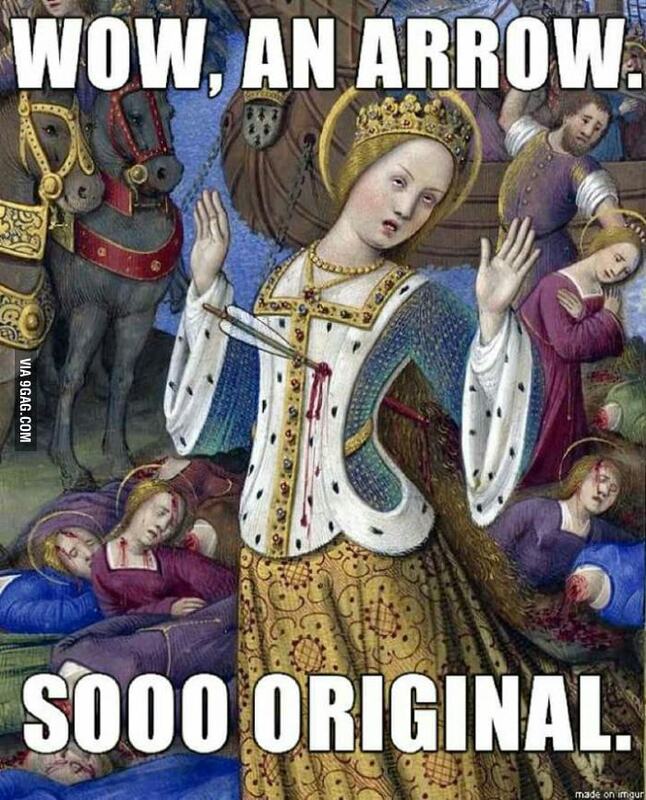 But to my 9-year-old self, it was revolutionary. An original sketch, which he gave to me as a Christmas present. 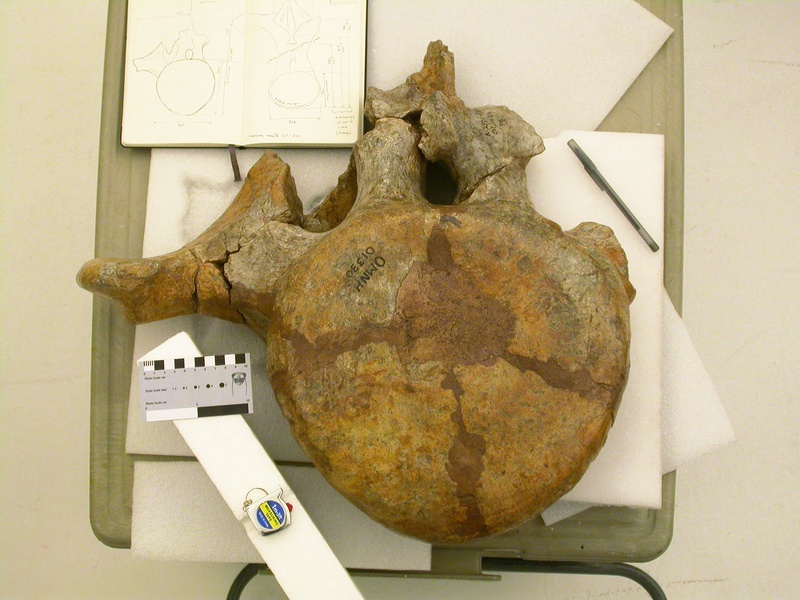 The published version appears on one of the final pages of our book, where we discuss the boundaries between the known – the emerging synthesis of sauropod biology that we hoped to bring to a broader audience by writing the book in the first place – and the unknown – the enduring mysteries that Mark and I think will drive research in sauropod paleobiology for the next few decades. 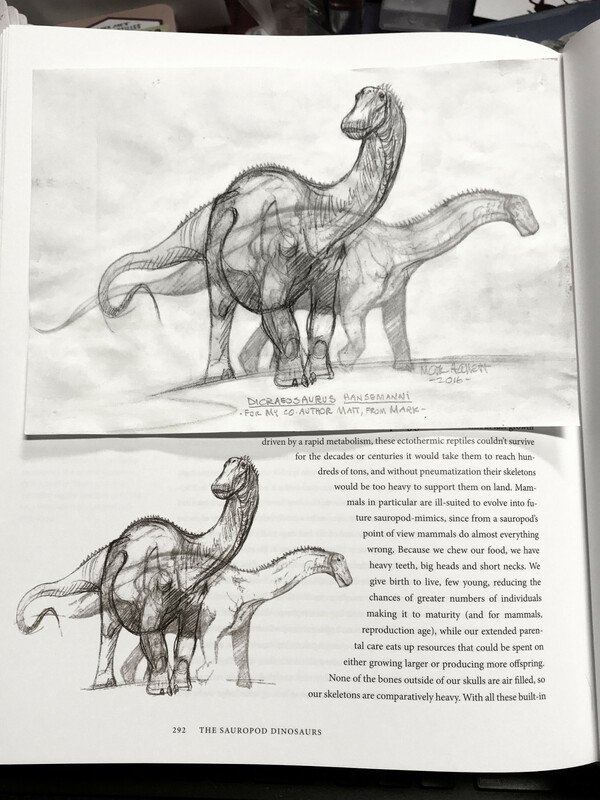 Presented without a caption or commentary, the sketch embodies sauropods as we see them: emerging from uncertainty and ignorance one hard-won line at a time, with ever-increasing solidity. Thank you, Mark, sincerely. That sketch, what it evokes, both for me now and for my inner 9-year-old – you couldn’t have chosen a better gift. And I couldn’t be happier. 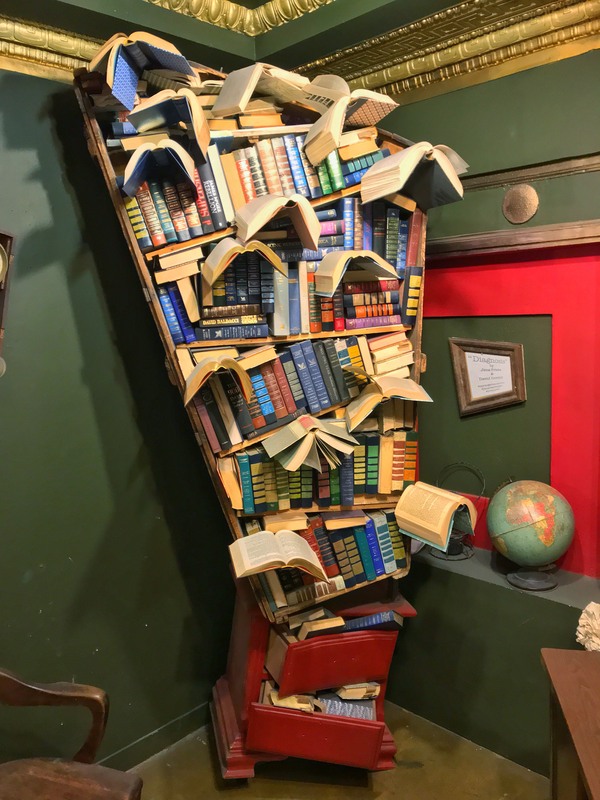 Except perhaps to someday learn that our book exploded in the mind of a curious kid the way that The New Dinosaur Dictionary did for me 34 years ago, a time that now seems as distant and romantic as the primeval forests of the Mesozoic. 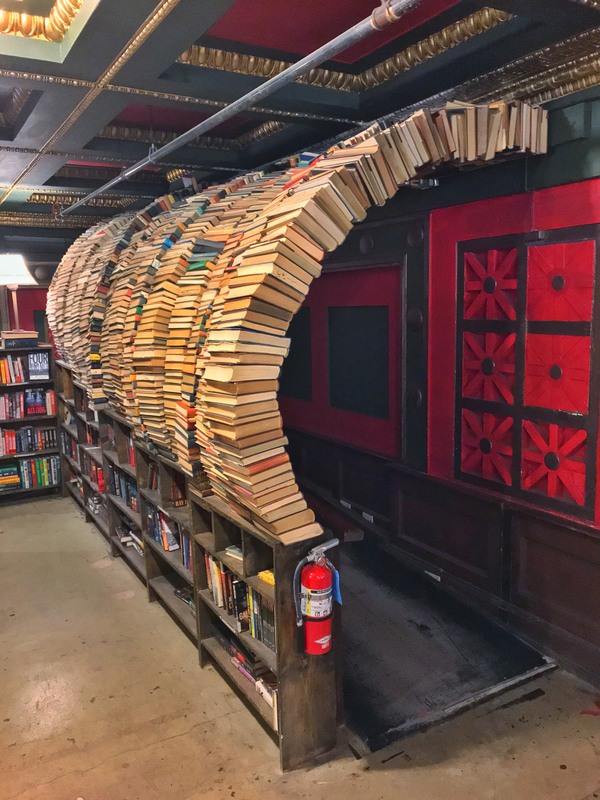 Vicki and London and I were in downtown Los Angeles for a friend’s wedding on Dec. 30, and afterward we visited The Last Bookstore. Embarrassingly, even though I’m LA-adjacent, I had not been before. I believe the mounted woolly mammoth visible in the far corner was one of the last ones to be shot in the LA Basin. 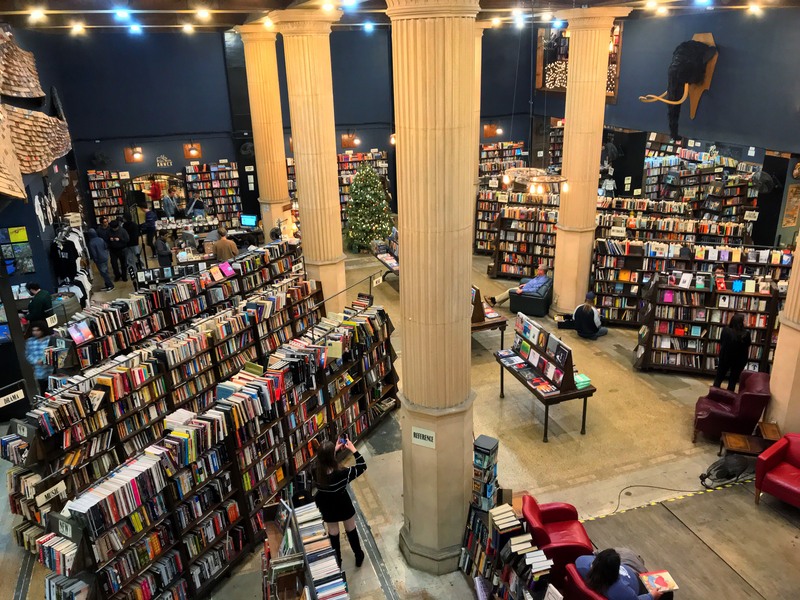 The Last Bookstore is an awesome place, with two floors of new and used books, records, comics, and related esoterica. Made me nostalgic for Logos in downtown Santa Cruz, which sadly closed shop this past summer. The visit was a momentous occasion for me. Although my book with Mark Hallett has been out for almost a year and a half now, and many copies have passed through my hands at book signings, I’d never run into one out in the wild. I quickly and quietly did a guerilla signing, and left the book on the shelf. And I intend to keep doing them, as often as I run into unsigned copies. As a public service message, if you ever find a copy of the book out in the world that looks like it’s been signed by me, it’s probably legit (send me a pic or post in the comments if you have doubts). Since I’m inflicting these on an unsuspecting public, if you get stuck with a signed copy but would prefer otherwise, let me know and I’ll swap a fresh book for your vandalized one. I also did okay finding books for myself. 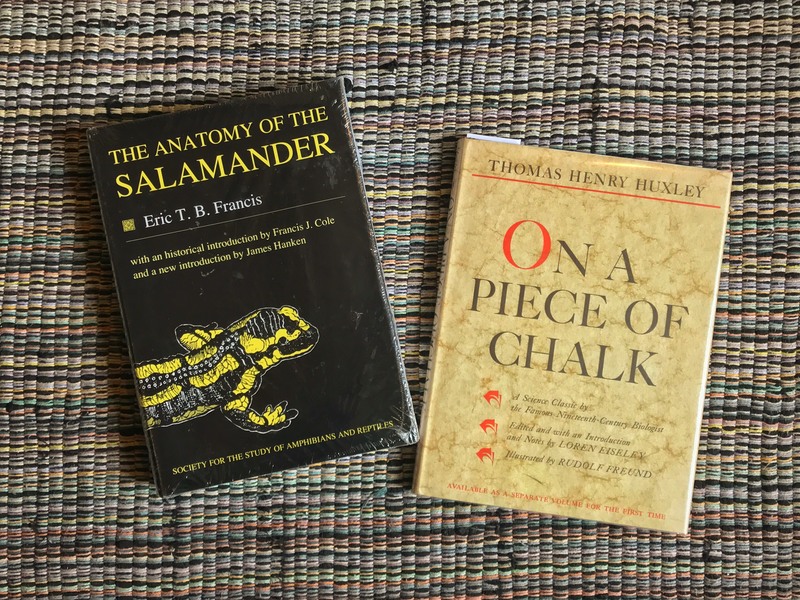 I got two: On a Piece of Chalk, by Thomas Henry Huxley, and The Anatomy of the Salamander, by Eric T.B. Francis. On a Piece of Chalk is a legendary bit of natural history. 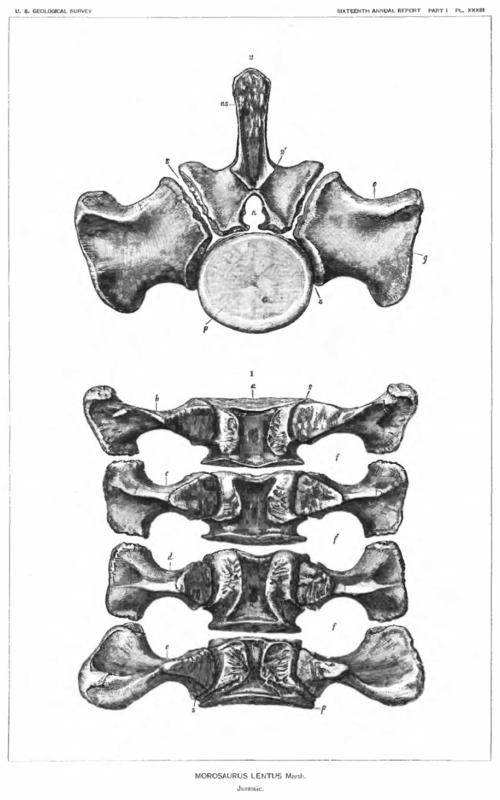 In 1868, T.H. Huxley gave a public lecture with that title to the working folk of Norwich, during a meeting of the British Association for the Advancement of Science. 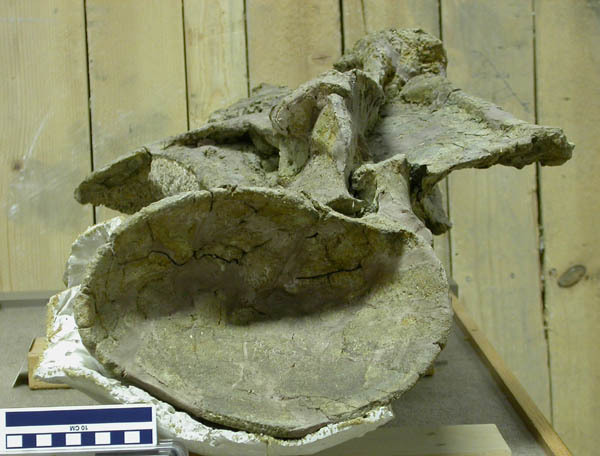 A piece of chalk was both his physical tool and his subject, which he used to illustrate, literally and figuratively, the evidence for uniformitarian stratigraphy and biological evolution. Huxley’s talk has been printed twice: later in 1868 by Macmillan’s Magazine of London, and in a nice hardback in 1967 by Charles Scribner’s Sons of New York. I found a copy of the latter for five bucks, which I note is the going rate for used copies on Amazon. But I can’t actually find any evidence that my copy has been used. It appears to be utterly pristine, and I suspect it may be New Old Stock. If you don’t own a copy of this wonderful book, you should drop what you’re doing, acquire one, and read it. If you’re reading this blog, you probably know Huxley’s punchline. But the way Huxley draws the reader in, illustrates his points with clear and compelling examples, and builds his argument steadily outward, from a piece of chalk to the vertiginous spectacle of deep time, is masterful in both concept and execution. I know less about the salamander anatomy book, but I snagged it anyway. It’s a reprint of an original 1934 text, published in 2002 by the Society for the Study of Amphibians and Reptiles. Reproduction quality is excellent, especially of the numerous and minutely detailed plates. 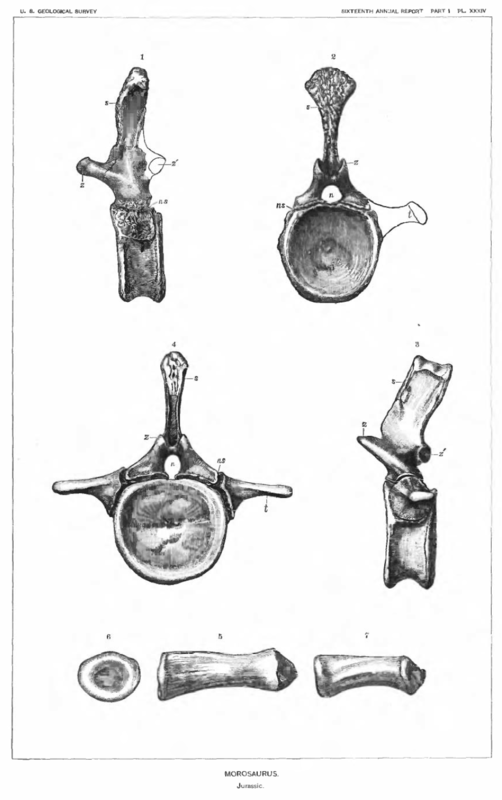 I picked up the book for two reasons: one, because I’m getting progressively more interested in the peripheral nervous systems of nonhuman tetrapods, and two, because I have a peculiar fetish for good illustrations of the recurrent largyneal nerve, especially in short-necked animals (for example). I did not come away disappointed. The moral of the story? 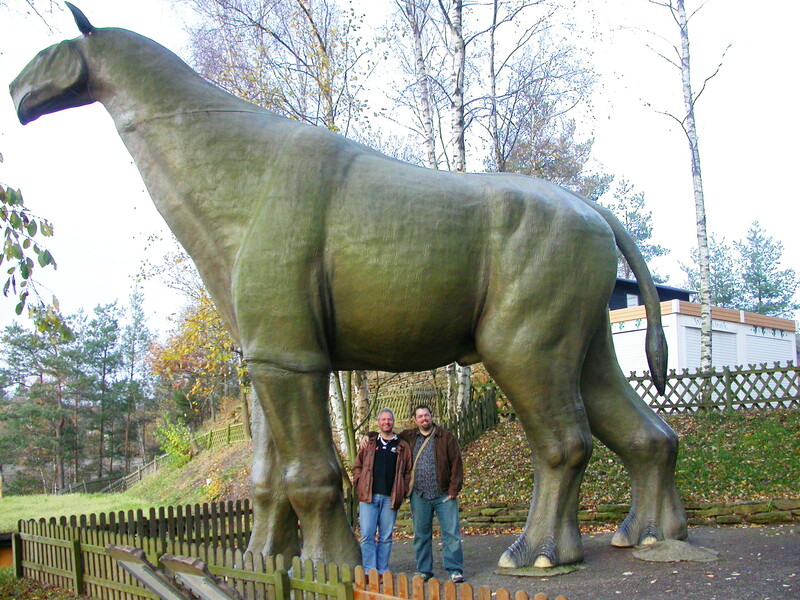 Stay alert for good natural history writing. 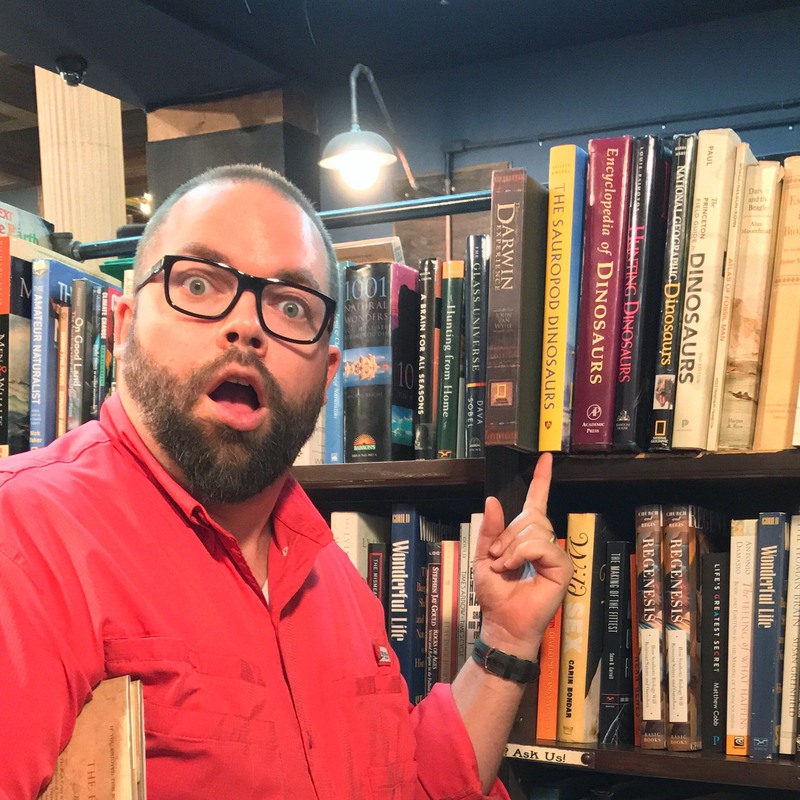 I find that older natural history books turn up in used bookstores pretty regularly, and it’s possible to grow your library inexpensively if you are patient. And support your local bookstore, while it’s still there to support.